Hello everyone, today I thought I’d feature a brand that has little recognition here in the UK but over in the US has quite a following. Daniel Steiger watches are similar to Invicta watches in my opinion. 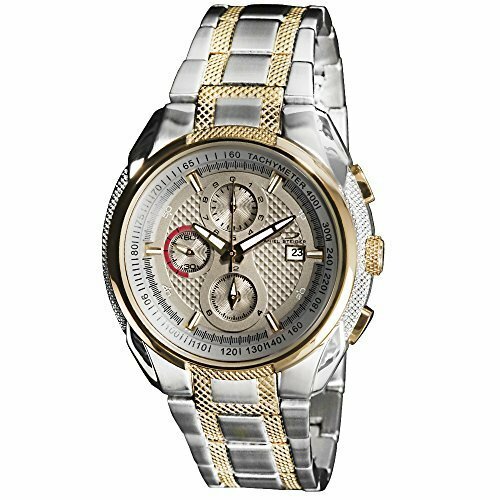 They’re a brand that you can have a love/hate relationship with a mix and match range of styles and designs, similar to Invicta you see. Due to this large range of designs, there is likely to be something available to most people’s taste. Are Daniel Steiger Watches Any Good? So are Daniel Steiger watches actually any good? These Daniel Steiger watches are actually produced by Timepiece USA, a company that’s been putting out quality timepieces for over a decade. The Steiger brand is a newer addition to their collection but has so far had pretty decent reviews. 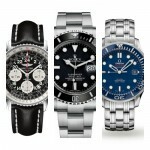 With their large range of watches, Daniel Steiger has timepieces to suit most affordable budgets. Of course, if you’re after luxury watches I’d recommend looking at another brand instead. Overall I’d say Daniel Steiger watches are pretty good, in terms of value for money I’d personally go for a brand like Seiko, but you’re unlikely to find these designs from them. 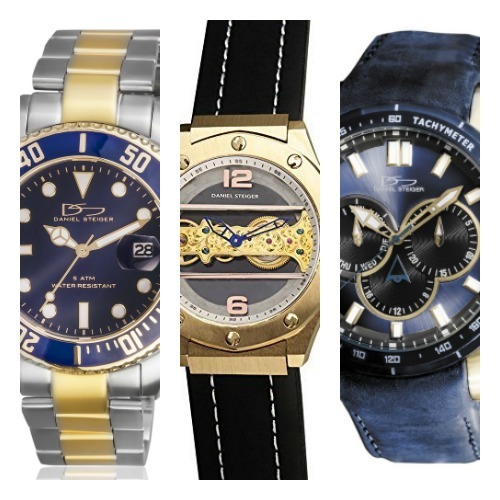 If you like flashy watches that are bound to get noticed on your wrist, then give them a go. The first timepiece I’m featuring on today’s list of Daniel Steiger watches is the Avenger model which is fairly affordable. This is a two tone luxury style timepiece that’s made from stainless steel with a diameter of 45mm and a thickness of 14mm. The strap continues this two tone design and fastens with a push release fold over clasp with safety. The dial features a textured design which I’m quite a fan of on watches. The hands stand out nicely against the background making them quite easy to read. On the dial there are three chronograph sub-dials as well as a small date function at the 3 o’clock position. This Daniel Steiger timepiece is powered by a Japanese made quartz movement for accurate and reliable timekeeping. They’ve used a mineral crystal glass to protect from scratches and shattering which is quite common in this price range. It also has a 50m water resistance rating which may come in useful. Next up on our list of popular Daniel Steiger timepieces is this impressive looking see through watch. This model is built with a large 45mm casing that has a thickness of 12mm and is plated to give it this gold coloured finish. The strap is made leather with contrasting white stitching that I rather like the look of too. This fastens with a buckle style clasp. 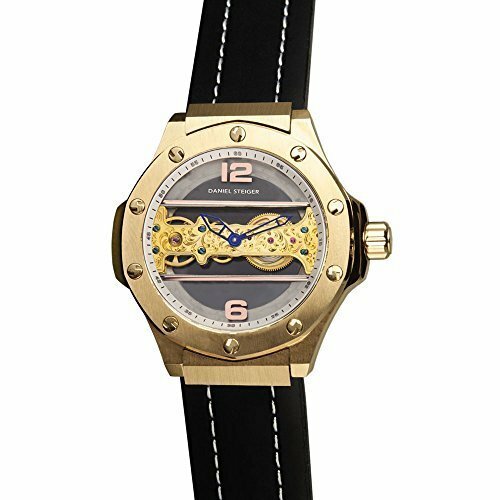 I really like how you can see right through this timepiece, it’s a clever use of a mechanical mechanism.The use of blue hollowed out hands works nicely with the golden coloured aspects of the watch to give it this luxury style. This watch requires manual hand winding as there is no automatic function on it, something worth keeping in mind. Like the previous model, this timepiece also makes use of a mineral crystal glass on the front and rear of the watch for scratch and shatter resistance. It also has a basic 30m water resistance rating. 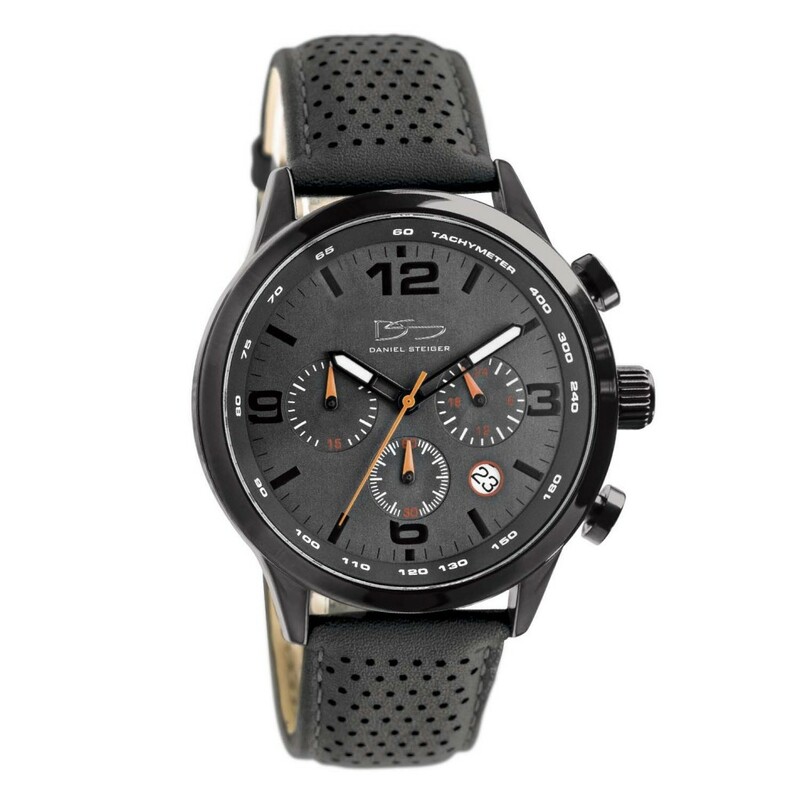 Here we have a popular Daniel Steiger chronograph watch in a black finish. This timepiece has a polished black ion plated stainless steel casing with a diameter of 50mm making it quite a large watch, the thickness comes in at approximately 11mm. I’m quite like the perforated finish to the genuine leather strap, this fastens with a buckle style clasp too. The dial features three chronograph sub-dials as well as a date indicator between the 4 and 5 o’clock hour markers. The use of white tipped hour and minute hands make this an easy to read watch. I also rather like the orange detail on the sub dials and seconds hand. At the heart of this watch is a quartz chronograph movement for reliable timekeeping, these are good as they require very little maintenance. On the front of the watch, we have a mineral crystal glass for a good level of scratch and shatter resistance. Last but not least is the 100m water resistance rating which I was pleased to see. If you’re looking for something a little more colourful than this next Daniel Steiger watch could be ideal for you. 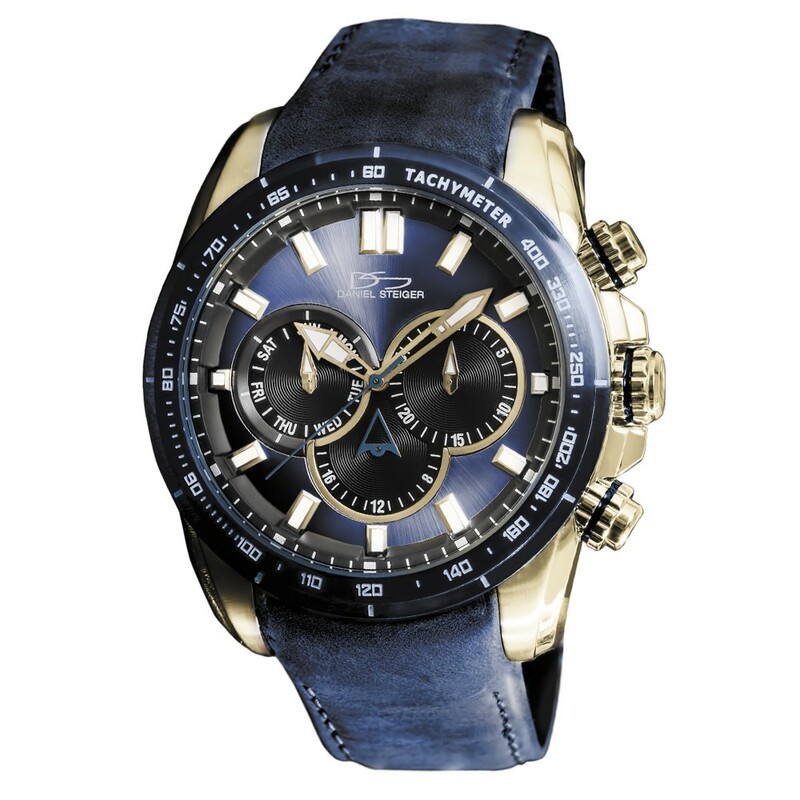 I like this combination of blue and gold plating on the casing of this watch, it has a nice luxury look to it. The casing itself is made of stainless steel with a diameter of 46mm and a thickness of 14mm. The strap is made of suede in this beautiful blue finish, it fastens with an oversized buckle clasp. The dial makes use of these bold baton style hour markers than stand out nicely against the blue background. There are also three sub-dials on display which can be used to indicate the date. Like the previous Daniel Steiger watches, this timepiece makes use of a reliable quartz movement for accurate timekeeping. The mineral crystal glass is used again for resistance to both scratches and shattering. Again it’s another Daniel Steiger watch with a 100m water resistance rating. 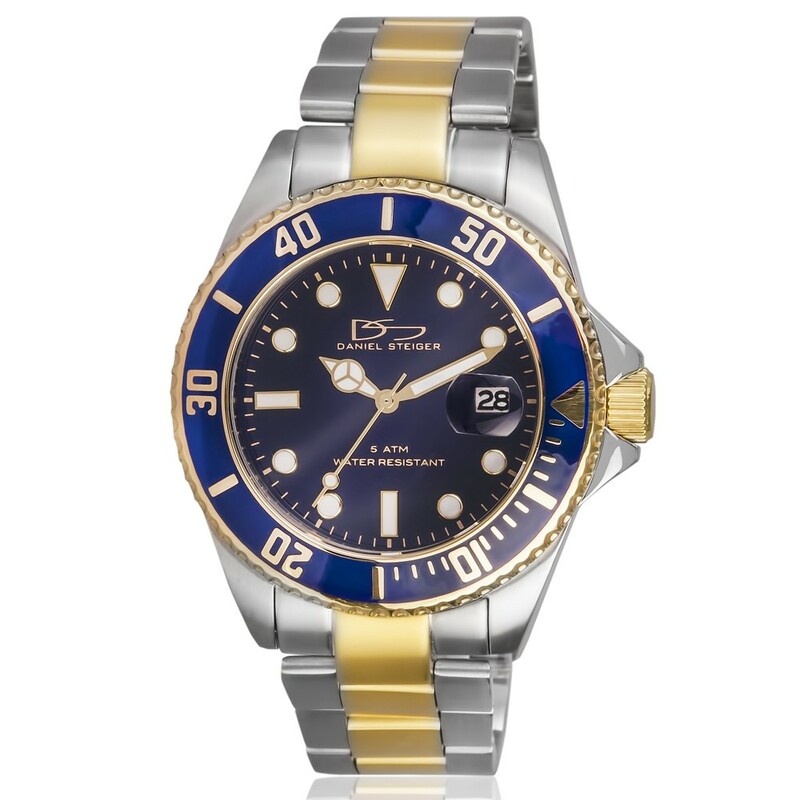 For our 5th Daniel Steiger watch in today’s list, we have this impressive looking diver style timepiece. I love the two tone design mixed in with this brilliant blue coloured of the coin edged bezel and dial. The casing itself is made of stainless steel and has a diameter of 43mm with an approximate 13mm thickness. A key feature of any diving style watch is a clear and easy to read display that features lume, and this Daniel Steiger timepiece has managed just that. They’ve used bold hands and hour markers that are coated with lume with visibility at night. There’s also a magnifier bubble above the date display which is a popular feature on this style of watch. 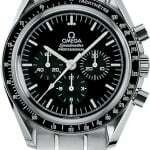 This model is powered by a quartz movement which is accurate and reliable. A specially hardened mineral crystal glass has been used to give you a good level of protection from shattering and scratches. It’s worth noting that this watch only has a 50m water resistance rating, they’ve focused on the style of a diving watch, it doesn’t have the specifications you’d require though. Thanks for taking the time to read through today’s Daniel Steiger watches review. 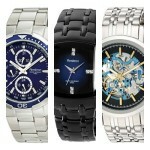 What did you think of these watches? Personally, I think they’re more suited to casual wear than formal attire but perhaps that’s just me. As always I’d love to hear your thoughts on this brand, comment below and discuss. I love Daniel Steiger watches but like you agree that they are similar to Invicta. I’ve bought both in the past, to be honest unless you looked closely you wouldn’t tell which was which at first sight.